Vivaldi 2.0 is a robust upgrade of the browser that gives users full control of their most important application. Includes Sync, Floating Side Panels, Resizable Split-Screen Tabs, and over 1,500 improvements since its first version. 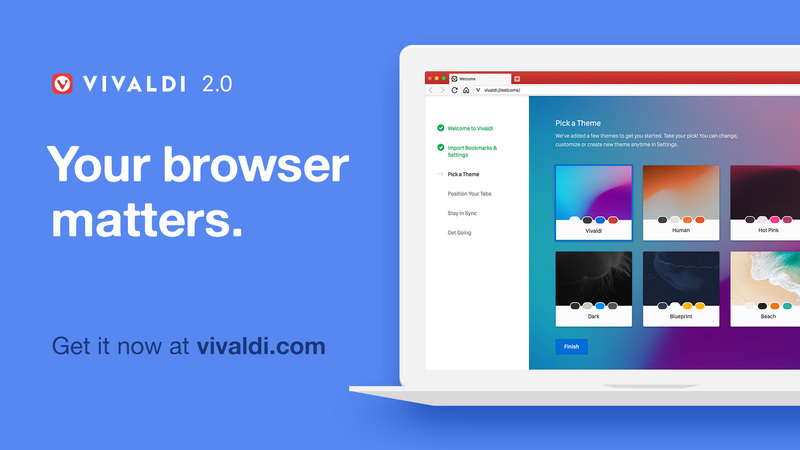 OSLO, Norway – 26th Sept 2018 – Today Vivaldi launched the new version of its browser, Vivaldi 2.0, making it the most essential productivity tool for everyone. The vision of Vivaldi is simple – users should be in control of how the browser looks, feels and works. This new upgrade allows users to browse with features that adapt to them, a style that fits and the values that they can stand by. Vivaldi 2.0 is a big leap forward in achieving that vision. Working closely with its users every step of the way, Vivaldi has made over 1,500 improvements since launching its first version in 2016. Sync between computers, enhanced side panels, resizable split-screen tabs and much more underscore Vivaldi’s strength in robust feature-set and customization options. And, they are easy to use too. “A browser is used by everyone, everywhere – making it the most important tool on your computer. It used to just be a way to show static pages, now it’s a portal to the way we live, learn, work and play. Vivaldi helps you do more of everything you love faster, easier, and safer,” says Vivaldi CEO Jon von Tetzchner. Vivaldi is driven by the real needs of users today and ensures that they have the best tool to browse and do the job. With a sleek user interface, revamped theming options and a refreshed onboarding experience, users can truly create a browser that reflects their interests, passions, and personality right from the start. Vivaldi can now seamlessly and securely sync a user’s data between multiple computers, including their Bookmarks and Speed-Dials, saved passwords and autofill information, History (with only typed URLs), extensions and uniquely, Notes. 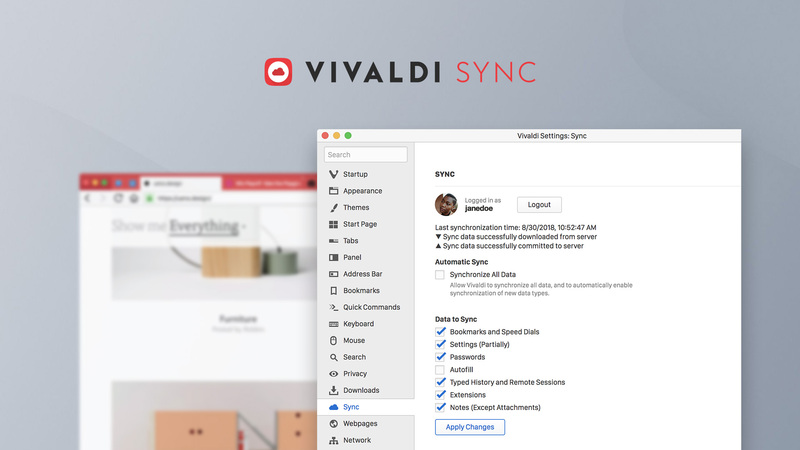 All synced data, including users’ passwords, is protected with an end-to-end data encryption and never shared in the clear with Vivaldi. To keep the user data safe, no third-party servers are used but only Vivaldi servers. The much-awaited Vivaldi Sync can be activated through Settings or the new cloud icon in the browser’s Status Bar. To make better use of screen real estate and improve workflow, Panels — an expandable, multi-tasking dashboard in Vivaldi’s sidebar — includes go-to tools like Downloads, Bookmarks, History, Web Panels, Window Panel and Notes. Web Panels allow users to display their favorite web apps or sites in a split-screen alongside the primary window. What’s more, they can now “float” them over the page, rather than resizing their main window. In version 2.0, users also get suggested Web Panels of sites that they visit the most and help them check their messaging apps, news and social feeds a breeze. I’ve noticed a lot of websites use fixed widths. Web Panels are a great way of using the rest of the screen – and I find them a lot less disruptive to my workflow then changing tab (and having to find the other tab again). Second to none, Vivaldi’s tabbed browsing lets users group(stack), rename and even search in addition to pin, drag, hibernate and mute tabs if needed. Users are also given multiple ways to access these features. Adaptability is at the forefront in Vivaldi’s role as daily driver. I actually have 253 tabs in my Vivaldi open right now! 😅 The best tab management feature is definitely the relatively new Window view in the sidepanel, it makes managing tab groups so much easier than fiddling around with them in the tab bar! A fan favorite, Tab Tiling — creating a split-screen view of tabs — can now be resized by simply dragging a tile’s borders. Even better, the adjusted layout remains the same after restarts and loading of saved sessions. A list-style view has been added to the ever-popular Tab Cycler. 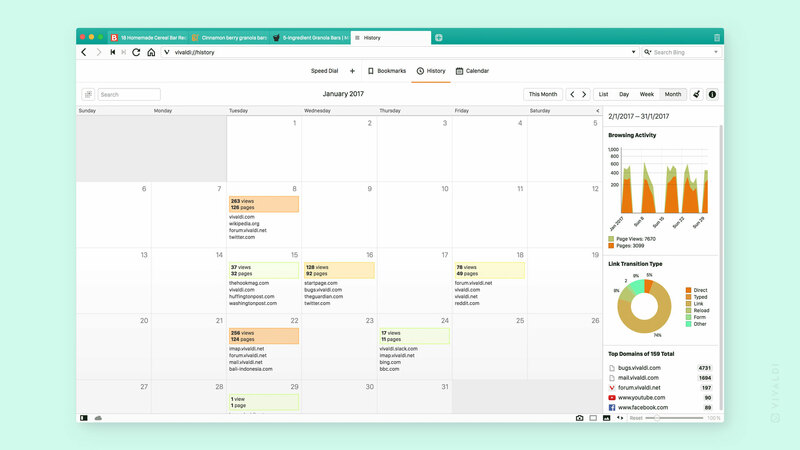 Users can find and view a list of open tabs and even change them – a visually appealing way to view and search entries instantly. Stuff that attracted me are the tab management features. Grouping, split screen and also panels. Definitely, can’t live without them as it has become an integral part of my browsing life. It saves me so much time and increases productivity. The most overlooked tool in a browser today is browsing History. Vivaldi gives it the love it deserves. Users can explore their own browsing habits with statistics and visual clues that are only visible to them through a reimagined, in-depth History. Vivaldi’s intuitive default UI gets work done at a lightning speed with customizable Keyboard Shortcuts and Mouse Gestures. The latest update allows opening of a recently viewed page by clicking the Back or Forward button using a modifier key (cmd or ctrl) or via middle-clicking the mouse. I started using Vivaldi when the first betas dropped. Since then I haven’t looked back. One of THE best browsers out there and brilliant ethics to browse by! I can’t live without the mouse guestures, I find myself trying them in other apps to my dissapointment. 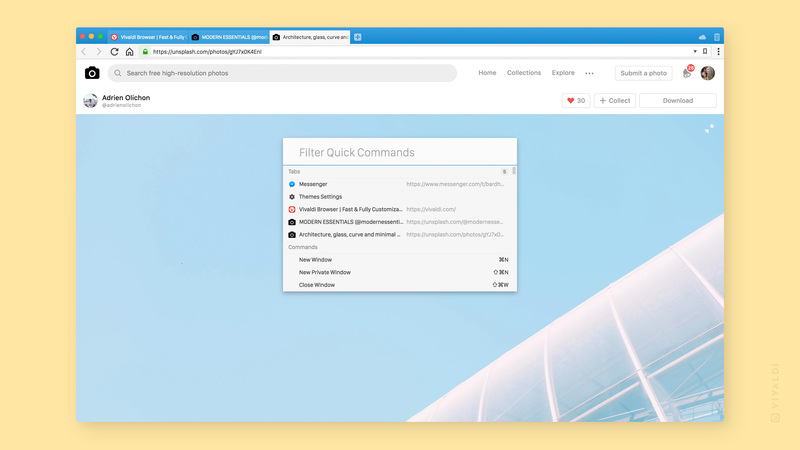 Users can stay one step ahead and access their favorite sites and bookmarks instantly through Speed Dials and Quick Commands or easily jump through search result pages with Fast-Forward/Rewind function. They can assign nicknames to search engines and switch between them on the fly. 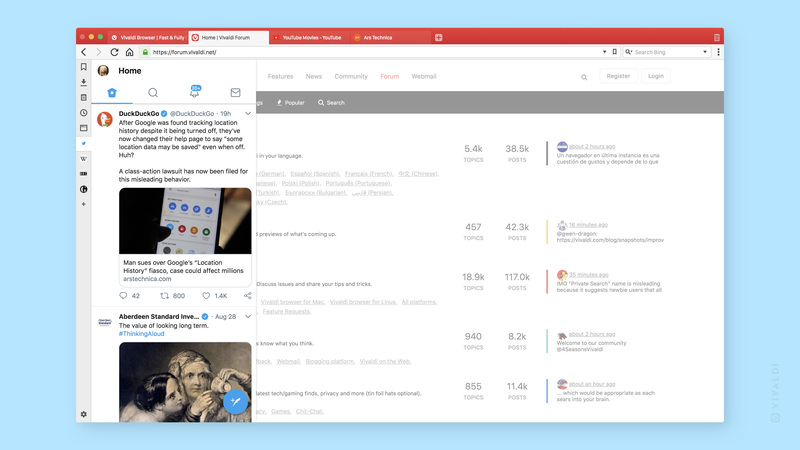 Vivaldi’s built-in tools help users get more done, faster. Users can instantly capture and share screenshots with Capture, research and annotate websites with Markdown-supporting Notes, and get in-depth with photos using the Image Property tool. I’ve used Vivaldi since the first release. I can’t live without mouse gestures because it’s powerful for browsing. Screenshot button also very helpful, no need for any extension for that simple task. Tab stacking & page tiling also rocks! 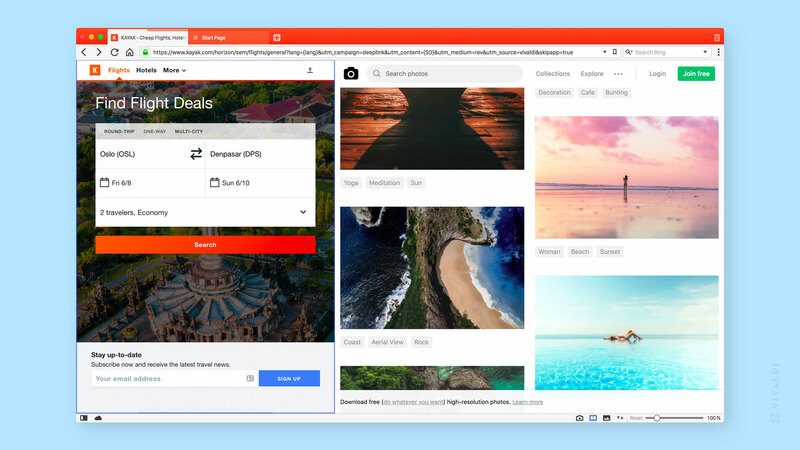 Vivaldi’s flexible options to search the Web let privacy-conscious users browse in Vivaldi’s Private Window using search engines that share similar ideologies. 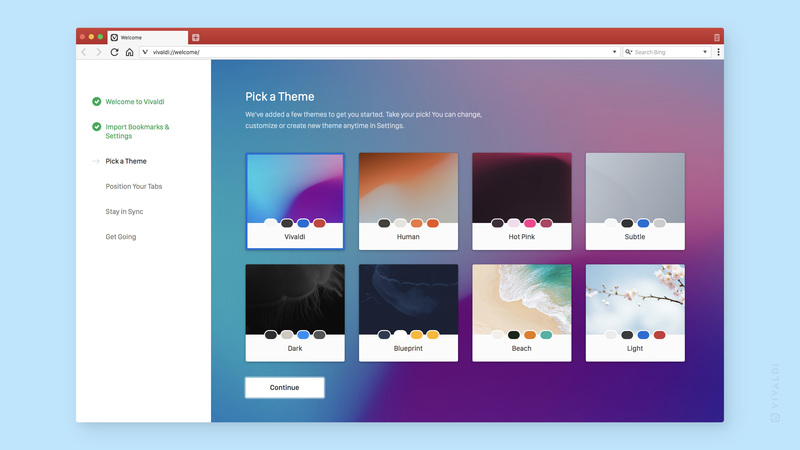 “Our goal since we started developing Vivaldi was to listen to our community of users and provide them with new ways to experience the Web and express oneself like never before. Vivaldi 2.0 does that!”, continues Vivaldi CEO Jon von Tetzchner.